Thank you for your prompt services you provided to Munro Street, Ascot Vale to fix the heating during this extreme cold spell, my sons are most grateful that it now works properly. Thank you again, and I hope to use your services again in the future. Fantastic, professional service and responsiveness. We will be in touch again if we need your services on the home or business front. Much appreciated. We have an office & laboratory environment with varied climate control requirements. We initially used Dynamic Heating & Cooling to change a compressor which had failed. I was impressed with their service. We now use them for all our heating / cooling repairs & have a quarterly maintenance agreement. We have a Stadt heater. Another serviceman advised us that parts where no longer available for the units & tried to sell us a new unit. Paul had the part in his van. Fitted the new electronic board & had our house warm in an hour. Thanks Paul. Also just wanted to mention that I was very happy with your service. If I have any other heating/cooling problems in the future you will be the first I call. Also I will be recommending you to anyone I know. If you like I can recommend and forward your details onto my property managers. Recently my dog got an urge to bite and crush the copper pipes on my Mitsubishi Split System air conditioner. Dynamic Heating & Cooling came around and managed to replace the piece of damaged pipe & get my system up and going. Great Job. Neat Work & priced well. I have always received great service from Paul and his company Dynamic Heating & Cooling. They are reliable, friendly and responsive. I recently had a repair done at my home for my ducted Brivis Air Conditioning, they are professional and educated in their field. I would definitely recommend Dynamic Heating & Cooling. Thanks again for helping us out today. Our house settles on Monday & the heater needed replacing. At very late notice I contacted Dynamic Heating & Cooling. They installed a new Braemar ducted heater. I really appreciated the prompt service. When I first called , I was answered straight away and was able to book an appointment at a convenient time. Paul turned up at the agreed time and was able to complete the job satisfactorily. Paul was able to explain each step in the process and what to look for if there are problems with the air conditioning system in the future. Dynamic Heating & Cooling provide regular servicing of my heating and air conditioning. I have always been happy with their workmanship. Everything is left neat and tidy after the job is completed and I wouldn't hesitate to recommend them to others. Dynamic Heating & Cooling is our sole provider "For a Reason" Paul delivers first class service every time. We are always happy to recommended & work with Dynamic Heating & Cooling for all our Installs & Maintenance. 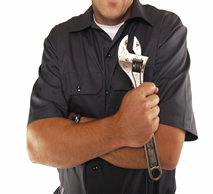 Paul performed a service to two air conditioning systems and a service/repair to one other system. Paul arrived on time (within the promised two hour window) and completed the service promptly, efficiently and courteously. I was aware of the anticipated costs in advance and the final bill was in keeping with that estimation. I would recommend Paul to anyone requiring him to attend to heating and/or cooling systems service or repair.